Sahaja yogini and Samadhi Dancer, Akashya has been on the path of Movement Arts and Yoga since childhood. Holding certifications in various Yoga lineages and having facilitated under the guidance of awakened masters during years of monastic life in India and Thailand, Akashya’s offerings embody a lighthearted and masterful synergy of tools for awakening our intrinsic wisdom pathways of healing and freedom. 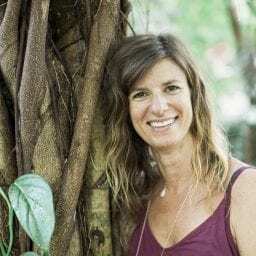 Angela has had over 15 years experience in a variety of different yoga styles, classes, retreats and workshops. 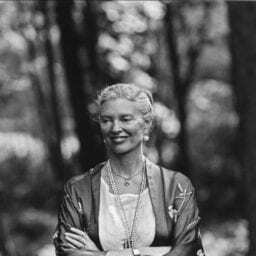 She has traveled the world and studied with a variety of incredible teachers from Gloria Latham, Gurmukh, Max Strom, Mark Whitwell, Seane Corn and many other amazing souls. As a teacher, Angela chooses to show up with her whole heart and soul. She teaches from life experience, sharing with honesty, vulnerability, passion and authenticity. Her intention is to create a safe and sacred space for students to connect deeper to breath, body, mind and spirit. To have an experience of the Self, through the Self, to the Self. And come Home sweet Om. Sharing all the tools she has learned so far, and inviting you to take what you resonate with on your mat and add it to your tool box of life. Taking your practice of Yoga off your mat and into the world. So life can be balanced, peaceful, authentic, inspiring, full of love and much much more. Angela is on a mission to help make the world a better place for ALL of us. She believes there are solutions to create more peace, harmony and love in the world. And it starts with US!! Individually choosing to have more awareness, mindfulness and consciousness around how we are LIVING. Angela teaches a variety of yoga styles from Yin, Meditation, Hatha, Vinyasa to Modern Kundalini. She loves teaching all styles of yoga, but Modern Kundalini is her heart and soul. Modern Kundalini is a unique, empowering, cleansing, detoxifying, multi-dimensional practice. Done with eyes closed as a tool for you to SEE more inside your sweet Self. There are over 8000 Kundalini Kriyas. Kriya means Action! Actions to support your nervous system, detox your liver, connect to your heart, support your kidney and adrenals, and the list goes on and on. Angela can create a private Modern Kundalini class specific to what you need to support where you are at. Chris Bombardier is a just a “simple surfer” from New Smyrna Beach Florida who happens to love Costa Rica, surfing, anything outdoors and, of course, spin. Chris is brought to us from most recently Charlotte, NC where he taught for 4 years at 3 different YMCA locations while getting his brain damaged by corporate America. 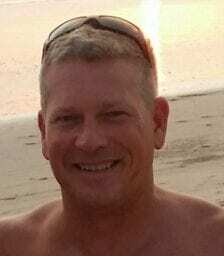 He brings a spin discipline that combines eclectic and fun music with progressively challenging intervals and drills. Every class includes weights and always ends with a proper cool down, stretch and a two minute plank. Fern Olivia has been teaching yoga and guiding retreats since she fell in love with the practice in 2008 in New York City. Yoga, meditation and chanting became a catalyst for her to heal from an autoimmune thyroid condition and express her voice with articulation, confidence, and clarity. She traded her cubicle on Wall Street to teach in yoga lofts in Brooklyn, then followed her heart to Los Angeles where she has been guiding classes before her soul called her home in Nosara. 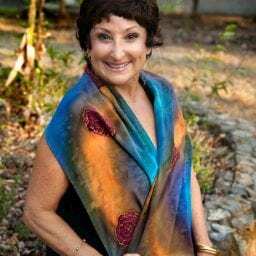 Fern Olivia has studied extensively under the mentorship of her teachers Elena Brower, Abbie Galvin, Nevine Michaan, and Donnalynn Civello, and has roots in Jivamukti, Kundalini, Katonah Yoga® and Bhakti Yoga. She has woven threads from each of these practices into her own method, Thyroid Yoga®, which she developed in combination with her education in Biomedical Engineering and her studies in yoga, intuitive healing, and integrative nutrition to empower a mass movement in self-healing. In addition to singing, teaching, hosting retreats, and speaking on the topics of holistic health and self-expression, her thyroid course is a best-seller on MindBodyGreen and she trains wellness leaders and practitioners in her Thyroid Yoga® training, which has been acclaimed internationally. Fern Olivia is also the founder of Ajai Alchemy, all organic essential oils specifically formulated with synergistic hormone balancing and aphrodisiac benefits. She has guided yoga and meditations at retreats alongside Deepak Chopra and Marianne Williamson and especially loves sharing the power of voice and chanting with children. A bright, radiant spirit, Fern can be found singing to the ocean on her surfboard, chanting along the jungle paths, and writing poetry under the stars. Since Gloriana was a child, dancing has always been her greatest passion. Born and raised in Costa Rican, she started dancing with Latin rhythms including Salsa, Merengue, Swing Criollo and Bachata with different instructors from Costa Rica. Gloriana studied Hip Hop and in college discovered the dance that truly touches her heart: the Belly Dance. Gloriana has 12 years of dancing experience and has owned her own dance studio in Alajuela, Costa Rica for over 7 years. She has studied with famous international dancers, such as Amir Thaleb, Jillina, Sadie Marquat, Mohamed Khazafy, Mia Shauri, Yasmina (U.S.A), Isabel Solis (Spain), Tonnya Chianis. (U.S.A) creator of the Belly dancer of the Universe and others. Gloriana has taken workshops and classes including Flamenco, Tango, Hip Hop, Bolero and Swing Criollo, Pole Dance, Acrobatic Silks, Flex, Burlesque Dance, Tribal Fusion and Samba. In recent years, she has studied her dance and the magic of yoga united by the flow of waves and the movement of love. This practice is a way of expressing through art, energy and the benefits of yoga. It’s a different and creative practice that makes many people get out of the routine and get even more inspired in terms of movement: OMDULATE. – Graduated in Public Relations, with a degree in Marketing Communication. – Owner manager of Glo Estudio de Danza, Alajuela. – Certification: Belly Dance Instructor. Academia Libanesa Amar. – Certification: Yoga Vinyasa Instructor. Nexus Yoga Institute. – Ballerina of PaluSanto Band. – National and international dancer: artistic and cultural activities, restaurants, weddings, retreats, among others. If you want a different atmosphere, Gloriana will transport you with her dance to different cultures and have fun! Jane Fryer holds a myriad of certifications and has been teaching for decades. 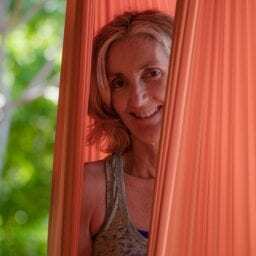 She is the creator of a style of Restorative Yoga she calls Essential Nature, and has trained hundreds of teachers in Nosara through the Nosara Yoga Institute. She is offering Mini Restorative Trainings in 2017, ( see janefryer.com for details). Essential Nature Restorative Yoga brings multidimensional benefits to students supporting movement into the inspirational, creative and open energetic field of space. This is where possibility lives in all of us. The yogi’s refer to this vibration as the “bliss body”. Her teaching style engages precise and provocative language to access and illuminate the alchemy of your multidimensional self; referencing both esoteric and scientific perspectives. Release your stress and Radiate your light. Melanie has dedicated herself to the practice, study and teaching of yoga since 2010. She trained in the disciplines of Hatha, Anusara, Ashtanga and Jivamukti, combining elements of these styles into a dynamic and inspiring alignment-based flow. 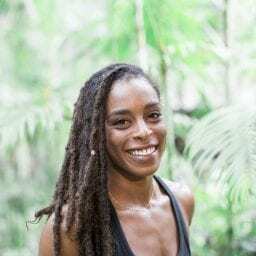 In her classes she encourages growth of the physical and spiritual self, creating a space where you can learn how to honor your body through the yoga practice. 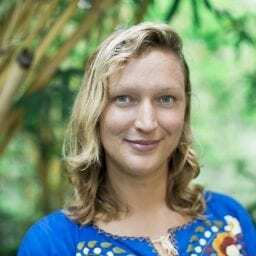 She is also a holistic pshycologist, she has studied different kinds of energetic medicine such as Reiki (grade II), pranic healing and shamanism, incorporating its teachings of awareness into her yoga classes. In 2013, she developed a program with the University of Iberoamérica to reduce anxiety levels in students using yoga techniques and meditation, which obtained favorable results in most cases. After that, Melanie traveled to India where she studied with different teachers and also experienced their culture in a deeper level. I was initiated to the spiritual world more than 17 years ago and have since maintained a rigorous, deep and regular meditation practice. At a very young age, I developed an interest in health and well-being and was cured of chronic intestinal problems through diet. I have learned so much about the human body, how it works, and the close relationship between diet and healing. Later, I decided to take a coaching course in personal development to help others regain their power, confidence and harmony with their inner nature, to live a fulfilling life. At the same time, I did a Hatha and Vinyasa yoga training (380hrs) with Sylvie Tremblay at the Montreal Sangha. This training transformed my life and led me to settle in Costa Rica in 2018. For me, yoga goes far beyond the physical because of its global benefits. The practice of yoga is very powerful, not only for healing the body, but also for the spiritual nature of the person. Yoga thus allows the human being to connect with its true nature to make it feel free, fulfilled and happy. 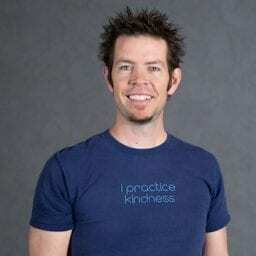 18 years later, Patrick is the founder, owner of Kindness Yoga, a donation-based collection of studios that hosts scores of teachers and tens of thousands of yoga students annually. His life has taken on more and more meaning through his committed explorations into his own patterns of living. His classes reflect this intimate and vulnerable process, and allow his students and fellow teachers to relate on a level that transforms. It is though his own healing journey and movement towards living his dharma that leads his yoga teaching, parenting, relationships and business. Rachel has been in the wellness, lifestyle, and sports performance industry for 20 years. She holds degrees in Athletic Training and exercise sciences. 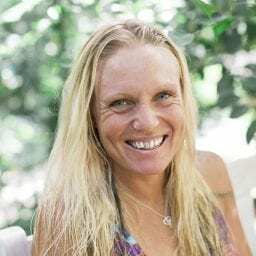 She is a licensed Holistic Lifestyle Coach, certified bodyworker, certified triathlon coach, certified active release technique practitioner, and has attended countless specialty courses interrelated to sport, bodywork, injury rehabilitation, lifestyle, and ancient medicine practices. 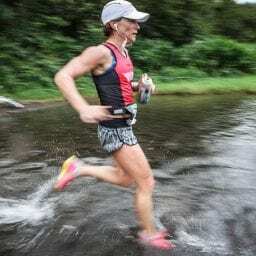 Rachel was a Team USA athlete for 5 years, amateur competitive triathlete for 10 years, ultra-trail marathoner for 5 years, and has done over 100 events. She now has 2 children, continues to run and stay fit for life, as well as helping people all over the world at all levels of sport, lifestyle, and wellness. The most amazing journey is the one within. Our cultures are designed to pull us outside of ourselves yet the real treasure lies within, hidden in plain sight. Once experienced there is no turning back. Serafin’s path has led him on a lifelong study of traditional martial arts, Zen meditation and yoga. 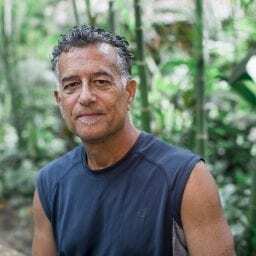 He began martial arts training over 25 years ago with a Zen priest in New York and later discovered and embraced yoga while living in an ashram. His classes often include martial arts techniques and breathing exercises and invite an inner exploration through a mindful awareness of the body’s physical structure, natural alignment and the magic, transforming power of the breath. Tiffany Leah Smith got her Associates Degree in Kinesiology and her NASM (National Association of Sports Medicine) in Personal training and Group Exercise at 20 years old. She then went on to personal train and work at numerous fitness studios in the Los Angeles Area. When she was 25 she opened her own fitness studio S.E.L.F Fitness South Bay where she led H.I.I.T (high intensity interval training) classes and had a large personal training clientele. After 5 years of successfully creating and growing her thriving fitness studio, Tiffany felt called to Kauai for her next venture. 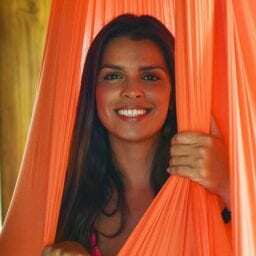 She sold her business and brought her passion for health and wellness to the Hawaiian islands. 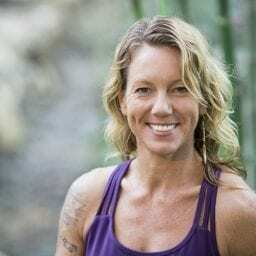 She successfully built a clientele and classes on the island of Kauai and recently felt a call to come to Nosara, Costa Rica where she is now bringing her style of fitness! Tiffany gets rave reviews from her personal clients and class clients. Book Tiffany while enjoying your stay here at the Bodhi Tree Yoga Resort. Tiffany will personalize your personal training or semi private to your needs! She can keep it low impact with a barre or strength training session or up the intensity with a HIIT workout, circuit workout or full on gym session! Don’t let your vacation take you off track, stay fit with Tiff! Todd has had the privilege of travelling the world for over 8 years and have trained with many different energy masters from around the world, (tai chi, qigong, hermetics, Reiki, etc…) and has gathered a wide spectrum of knowledge and practices to greatly enhance your energy levels and ability to harness and transform energy within yourself and around you. He now shares this knowledge with people in hope that they can experience the same benefits they have done for him. “Yoga is the Devotion, Art and Science of my Soul. I thrive on sharing Yoga’s teachings and wisdom in innovative, creative and dynamic ways, meeting my students, clients and participants where they are, just as they are. Yali’s offerings infuse an Ashtanga Vinyasa foundation with inquiry-based moving meditations serving up an innovative, dynamic teaching style seamlessly merging tradition with a careful application to contemporary influences and forms. Her ability to clearly educate many levels from beginner to advanced though intelligent sequencing make her classes accessible yet challenging. Joining a class with Yali will bring you back to your breath and your centre, by transmitting the teachings and lineages she has practiced for almost 20 years in her own body/mind, will allow you to align and connect at a deeper level to your intention for practicing the art and science of Yoga. Bridging the gap from practice (sadhana) to lifestyle. Yali currently works exclusively as the Senior Yoga Educator at Bodhi Tree Yoga Resort and oversees the Yoga classes and teachers. She previously was on the primary faculty at the internationally renowned Nosara Yoga Institute working as Posture Technique Director on more than twelve 200 hour Teacher Training programs. She is the founder of Evolving Sadhana School of Yoga Studies which currently runs two 100 hour trainings, with a foundational 200 our training on offer in 2017. Zac’s commitment to openness and inspiration enables him to pass on his teachings directly and indirectly to all who are in his presence. 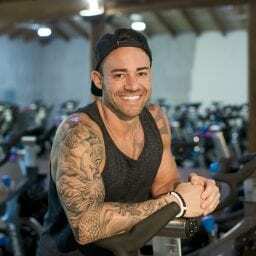 As a teacher, he invites students to connect with their will power and strength with a firm emphasis on core and breath. He innately understands that you are your best guide and is passionately devoted to serving you on your journey. 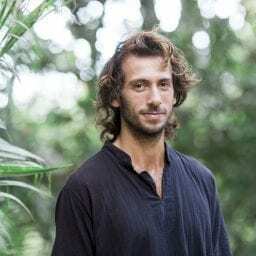 Zac’s teaching skills include: vinyasa, yin, core development and awareness, restorative, restorative with props, restorative for arthritic bodies, pranayama, heart meditation, and self-awakening yoga.